Join this tech talk to learn how to leverage tools such as Sagemaker and Amazon Machine Learning to help you detect and prevent fraudulent transactions and hear customer success story from Curve. In the era of open banking, banks are deploying APIs to offer their customers transparency and new services faster than their traditional infrastructures will allow. Payment Services Directive (PSD2) requires all banks to offer third party access to data and payments. Join us for an overview of AWS AppSync, a fully managed GraphQL service, and listen as Tom Bray, Chief Architect at Ticketmaster, shares his experience of deploying GraphQL. Tom will highlight the challenges of switching from REST to GraphQL, the benefits Ticketmaster has realised, and the new capabilities that GraphQL has unlocked. AWS AppSync is a serverless back-end for mobile, web, and enterprise applications. AWS AppSync makes it easy to build data driven mobile and web applications by handling securely all the application data management tasks like online and offline data access, data synchronisation, and data manipulation across multiple data sources. AWS AppSync uses GraphQL, an API query language designed to build client applications by providing an intuitive and flexible syntax for describing their data requirement. In this session, we’ll discuss the benefits of moving from monolithic to micro-services application architectures, and examine where micro-services can be used. We’ll share common transition strategies and relate them to the specifics of e-commerce and retail workloads, using customer examples. You’ll learn how to build micro-services using AWS services, and get a better understanding of the role of data storage, API endpoints and service discovery. Plus, you can learn from the real-life experience of Digital Goodie, an online retailing platform for connected commerce. Join this online talk to find out the business benefits for retailers to develop e-commerce solutions in the AWS Cloud. Hear how Popsa, a machine learning start-up, built its e-commerce solution on AWS; and how AO.com, an online retailer of electrical goods, migrated a bespoke e-commerce platform into AWS. Discover what the cultural impact was, and what the future holds. 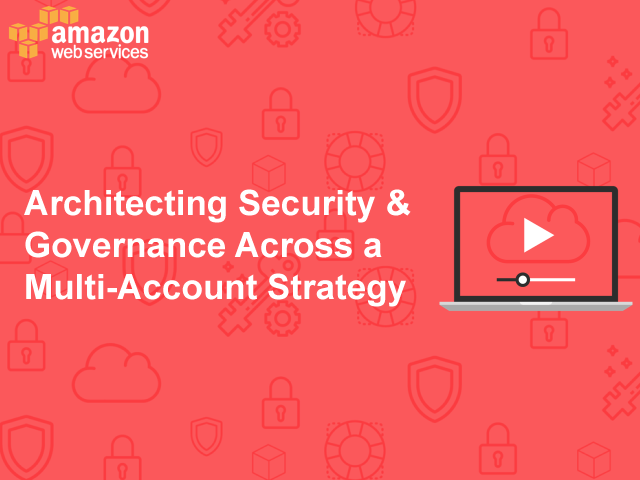 In this session, you’ll learn to use AWS tools to secure your environment and maintain a high bar in cloud security. We'll deep dive into the features of AWS CloudTrail, AWS Guard Duty, AWS Inspector, AWS WAF and Shield, and more. We'll also discuss how to keep your credentials safe in the cloud using AWS Secrets Manager. The EU’s General Data Protection Regulation (GDPR) introduces mandatory requirements for data controllers and processors. Join this webinar to learn more about the AWS Shared Responsibility Model in the context of the GDPR. Find how AWS services can help you realise data protection by design principles under the GDPR. As organisations’ cloud environments continue to scale and grow, how do you ensure that access to resources are being managed securely? How do you scope permissions to achieve least-privilege access control across your AWS environment? This webinar answers these questions, delving into the AWS Identity and Access Management (IAM) web service and looking at how it can help you securely control access to AWS resources. Join us for an overview of AWS AppSync, a fully managed GraphQL service, and listen as Tom Bray, Chief Architect at Ticketmaster, shares his experience of deploying GraphQL. Tom will highlight the challenges of switching from REST to GraphQL, the benefits Ticketmaster has realized, and the new capabilities that GraphQL has unlocked. Securing your workload in alignment with best practices is necessary to protect information, systems and assets while delivering business value through risk assessments and mitigation strategies. In this tech talk, we’ll walk you through how to secure your workload using AWS Identity & Access Management, AWS CloudTrail, Amazon GuardDuty and AWS Config services. Recently, the Government found that 72% of large companies and 49% of SMEs have experienced skills gaps when attempting to hire digital talent into their business. Do you fit into this category? We’ve created AWS re:Start, a training and job placement programme, in an attempt to help close the digital skills gap. By training and placing groups that have been left behind in the digital revolution, we hope to help you from both a skills and CSR perspective. Join us for this webinar to find out all about the program and hear about how your company can get involved and start placing ex-military personnel with AWS skills. Once you've migrated Production Microsoft workloads into AWS, what's next? This webinar will cover the benefits of cloud, automation & tooling in the management of persistent Microsoft workloads. We discuss and show AWS Systems Manager and how that can help with managing Microsoft workloads in AWS. AWS and SAP are longtime partners, with thousands of enterprise customers running their SAP workloads on AWS. AWS had a substantial presence at this year's SAP SAPPHIRE NOW conference in Orlando (June 4-7), announcing a range of new features and releases; hosting seven theatre sessions; and holding 38 in-booth sessions with customers and partners. Join our webinar for a recap of AWS announcements from the show, and learn how AWS and SAP collaboration can benefit your business. An increasing number of enterprise customers are moving their SAP landscapes -- including production environments -- to Amazon Web Services (AWS) to increase business agility and reduce costs. Enterprises that have made the transition include BP and Kellogg's. Learn more about the business benefits of moving mission critical SAP workloads to AWS, including: better performance, reduced TCO, improved agility and the ability to innovate at speed by leveraging AWS services within your SAP landscape. In this webinar, we will show how you can migrate your Microsoft workloads into AWS and what strategies we’ve seen work best to get the fastest successful outcome. We will also cover Auditing, the 6 R’s methodology, tooling, pre-req’s for Microsoft workloads & migration techniques. An effective business case can help you ease the adoption of cloud and migration to AWS. By examining your existing and upcoming application workloads, AWS help you develop a business case. In this session, we’ll guide you through the key steps to creating a compelling case that communicates the financial and economic benefits of cloud for your organisation.